‘Tis the season for holiday company, and while you may be excited (or anxious, in some cases) for their arrival, hosting them in your home can actually be a gift to them. They may be saving money by not staying in a hotel, but you can still provide them with a hotel-quality experience. Your first thought might be that family and close friends don’t need special accommodations (after all, mi casa, su casa), but making their stay memorable during the holidays by going the extra mile speaks volumes. 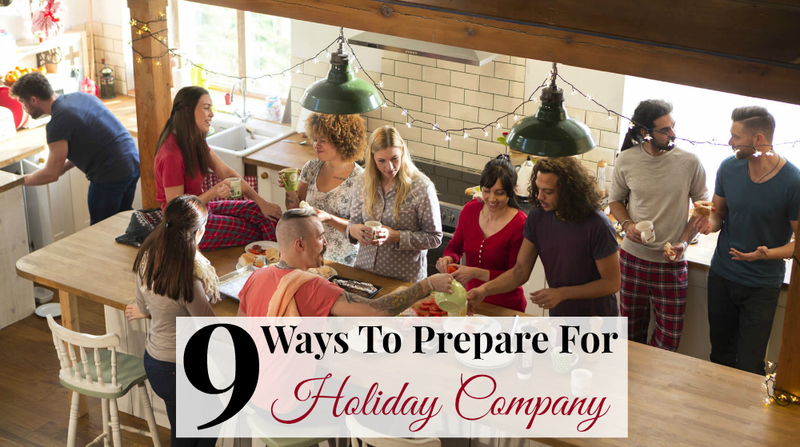 Here are 9 ways you can prepare for holiday company this year! The first place a visitor will stop in your home is at the door to take off his or her coat, put down her purse, or take off their shoes. Make them feel welcome by adding a few hangers and space for their boots, hats or handbags. Whether you have an actual spare bedroom set up at all times, or you’re blowing up an air mattress in the den, take time to make sure the space is ready for them to use. pay attention to how the room smells. Could it use an air freshener? If you have the time and space, fresh flowers and a framed picture of you and your guests together add a sweet touch. Aside from cleaning the bathroom that the guests will be using, make sure it’s stocked with plenty of clean towels and all of the supplies they might need. Even if your house guests bring their own toiletries, keep a stash of basics on hand. Let them know where to find it so they feel welcome to take and use what they need. Travel-sized items organized in a basket on the vanity will really make them feel like they’re at a hotel! As with the travel-sized items in the bathroom, consider the specific needs of your guests. Think about beauty products, dietary restrictions, regular routines they might have at home, or even interests of theirs. You might even leave a variety of magazines in their room, so they can entertain themselves when you’re not around. Will they be bringing pets or children? Ask in advance if it would be easier/cheaper for you to provide them with something vs them to having to lug it to your place (pet crate, potty chair, pack & play, car seat). 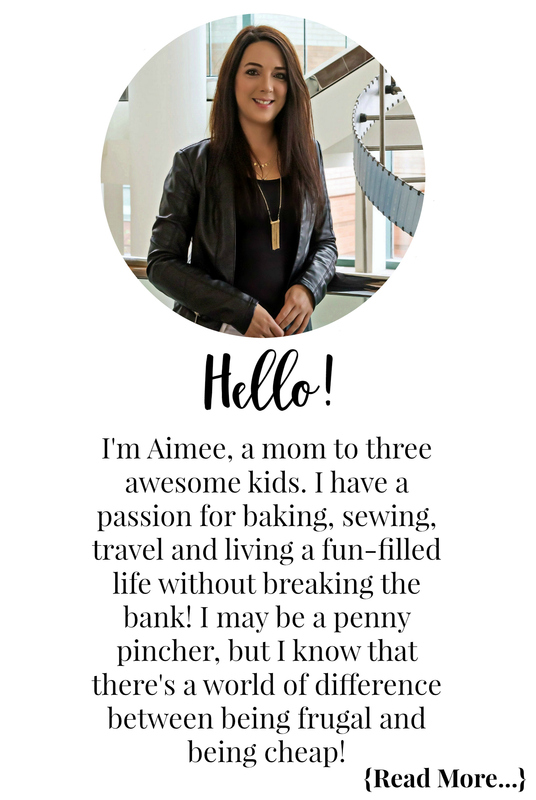 Make sure your guests don’t arrive to bare cupboards and don’t waste valuable visitation time at the grocery store! Have all of the essentials on-hand for breakfast, lunch, dinner, snacks and cocktails. Ask if they have any special requests a few days out. Put water bottles in the guest room. If you want to go the extra mile, put a mini fridge in the guest room and stock it with a few goodies you’d find in a hotel room. Gum, chips, crackers, cookies, candy bars, and miniature liquor bottles suddenly feel indulgent when they’re put out just for you! When you have holiday company in town, you’ve got enough to deal with (cooking, cleaning, entertaining, playing chauffeur, and clean-up afterwards). Hire a housekeeper to do a thorough cleaning with the perspective of an outsider. You may have so much on your mind that you forget to dust the fans or clean the baseboards. A housekeeper is paid to cover all of the bases. If you’ve got a schedule of local events and plenty of restaurants to call in a pinch, you’ll never have to worry about bored or hungry guests. Also, there may be times when they want to go out and you don’t. Let them call Uber and do some sightseeing independently, without thinking they are wondering the city without a destination in mind. The last thing you want is for your car to break down while you’re entertaining company. You’ve got places to go and people to see! Make sure everything is in working order, and that the interior is clean so guests can ride in comfort. Beyond welcoming curb appeal, you’ll want to provide your holiday company with a clean outdoor space where they can drink their morning coffee or make phone calls. Some people just prefer having an outdoor option, and you may have a completely different climate where you live from what they’re used to. Clean off or purchase some new furniture and add a potted plant. If they don’t use the space, you may find you need to! What do you do to prepare for your holiday company? Thankfully the two parties are on separate days so only 30-40 at each party. My mom is one of 8 and almost all of her siblings are married and all but 2 have children and a lot of my cousins are married as well so her side is big. My partners family is Italian so big family. Many of his cousins are married with kids as well so it makes for fun gatherings. I don’t go as far as a cleaning lady but I do have my carpets and furniture cleaned (this coming weekend) before our parties. I am lucky enough to have my mother living with us (apartment in the basement of our home) so she helps clean for the parties!